Created from Fibonacci retracements and extensions to point in advance potential price reversal zones in the markets. Years of research and discoveries allowed to enhance the patterns from basic to advanced. 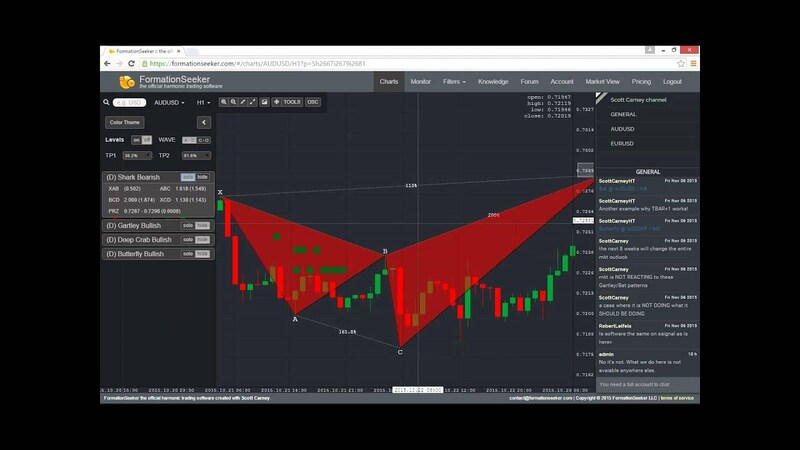 Formation AB is an enhanced version of commonly known from Scott Carney's methodology, and his book "Harmonic Trading vol.1" - "Alternate Bat Pattern". With our innovative research algorithm and optimized deviations Formation AB is an outer version of Formation B. It consists of 5 points - XABCD. The most important fibonacci ratios are XAB and XAD, where B point retracement must be a 0.382 Fibonacci retracement or less of the XA leg. AB=CD pattern inside Formation AB is always extended, often having a ratio of 1.618. Minimum BCD is 2.0. This formation usually extends initial point X and price often hits 1.13 XAD extension, which is also important level in the reversal and trading zone. 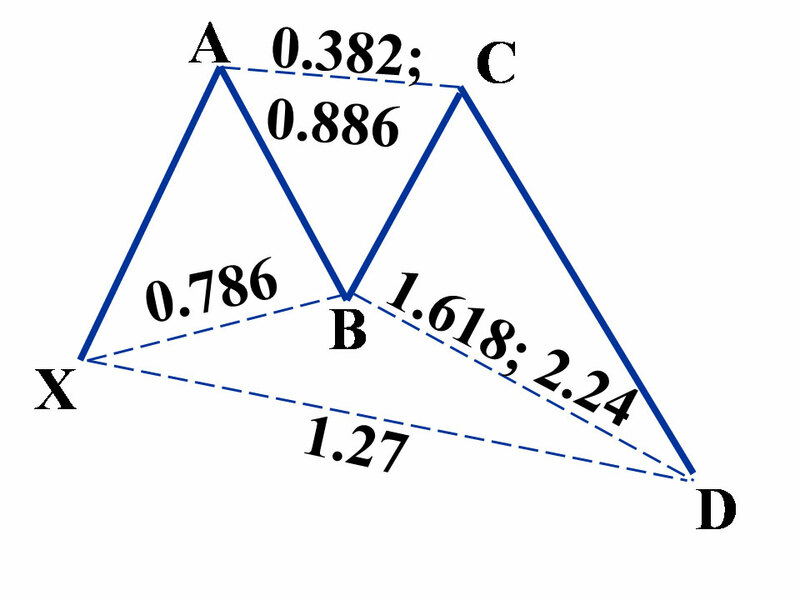 Formation B derived from commonly known in Scott Carney's harmonic trading methodology "Bat Pattern". It is defined by Fibonacci retracement ratio of the XAB that must be less than a 61.8%, preferably a 50% or 38.2%. 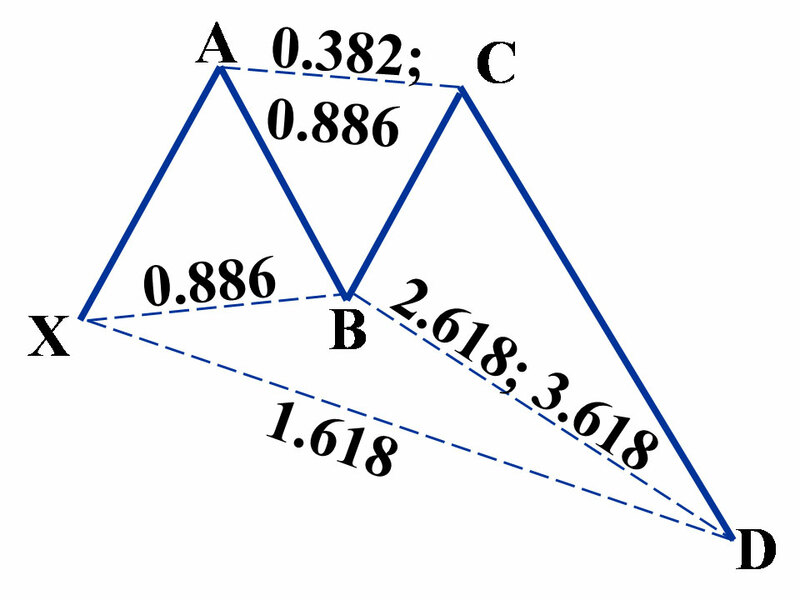 From Price Action point of view this harmonic formation frequently represents a sharp retest of support or resistance. One should look for, and anticipate quick reversal from PRZ (Potential Reversal Zone) - trading zone - a white bordered, brighter square found nearby D point on FormationSeeker charts. Formation B incorporates 0.886 XAD retracement, as the defining element in the Reversal Zone. Valid BCD projection is one between 1.618 - 2.618 ratios with emphysis on 1.618. AB=CD calculation is often at 127% (or 1.27 ratio). Bryce Gilmore discovered the structure of the "Butterfly Pattern" in his "Wave Trader" software program. Scott Carney also defines the same harmonic structure in his "Harmonic Trading" trilogy. Formation BF is an interpretation of those methodologies and encompasses a multitude of Fibonacci combinations with a strong emphysis on XAB retracement of 78.6%. AB=CD ratios are often extended like 1:1.618, so is the XAD extension at 1:1.27. Like all Formations, also BF has uniqally individually defined deviations from ideal fibonacci ratios, which makes a lot of a diffence. Some uniqe way of calculating this structure - the research algorithm makes this pattern a strong asset when aligned with proper price action and an oscillator. 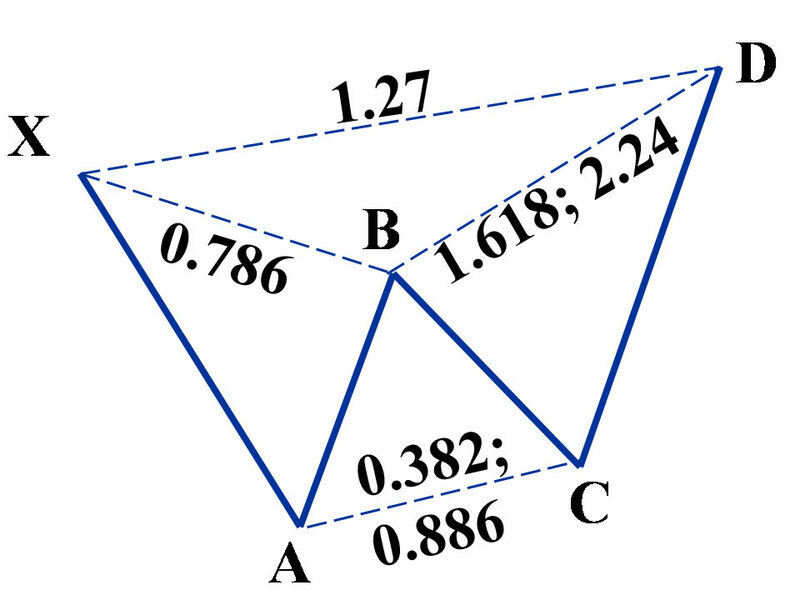 Scott Carney in his book "Harmonic Trading" defines "Crab Pattern" which is a precise fibonacci pattern that Formation C is based on. The most characteristic extension that defines this XABCD structure is 1.618 XAD. 1.618 is also most common ratio of AB=CD inner pattern which in case of Formation C is not as significant as in other Formations. BCD on the other hand usually completes at 261.8%, 3.14%, 361.8%. Sharp price action can be seen frequently once Formation C completes following panic reversal. It is common for price action to quickly test PRZ during the reversal as it's usually the last push of euphory or panic which often defines a new trend - trend reversal formation. Formation DC fibonacci structure derived from a pattern called "Deep Crab" in Scott Carney's trading books series "Harmonic Trading". 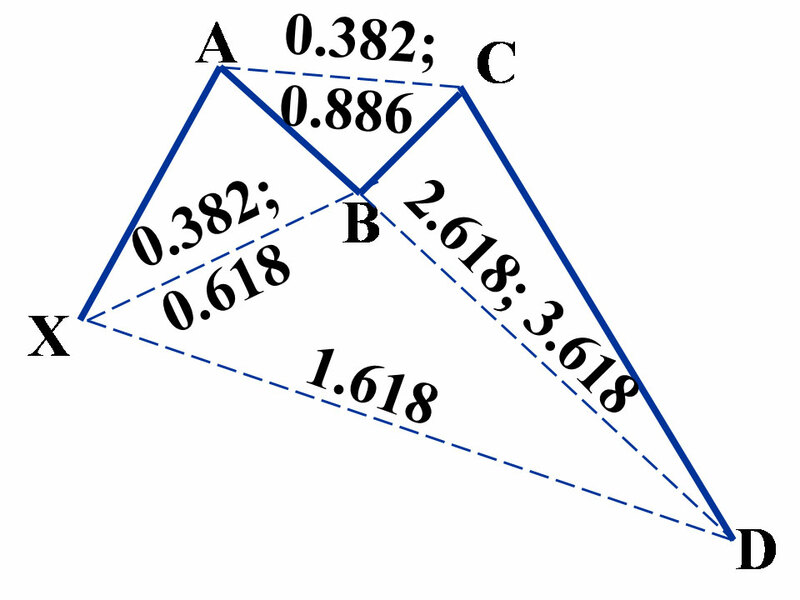 It's very similar to Formation C, but requires point B to be a 0.886 Fibonacci retracement, which often lands in between 0.886 and 1.0 but never violates point X of this XABCD structure. The 0.886 B point requirement is special to formation DC. 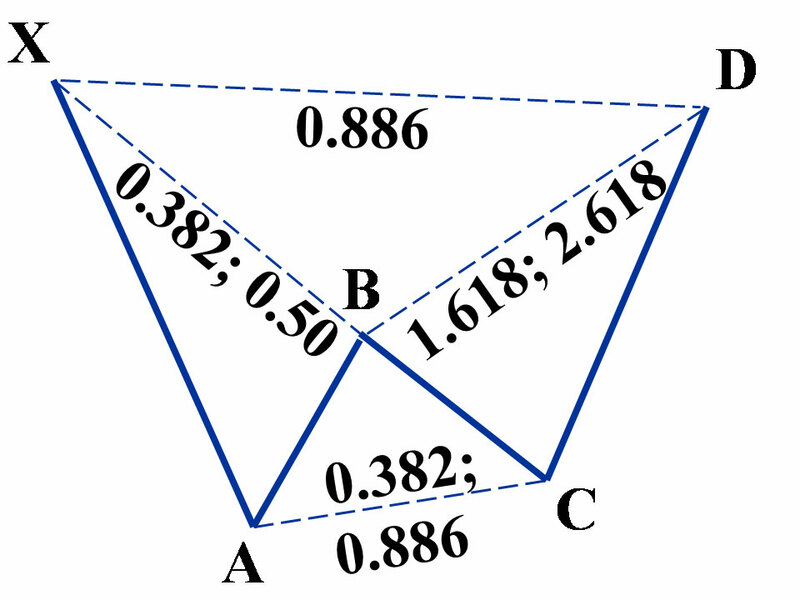 The violation of the B and X point typically creates a situation of severe price action. When this happens, the result is frequently a sharp move that quickly extends to the 1.618 XA projection. Another characteristic that distinguishes this structure is AB=CD ratio which typically possesses 1.27 ratio - an alternate variation. Formation F - is a descendant of "5-0 Pattern" defined by Scott Carney in his "Harmonic Trading vol.2". 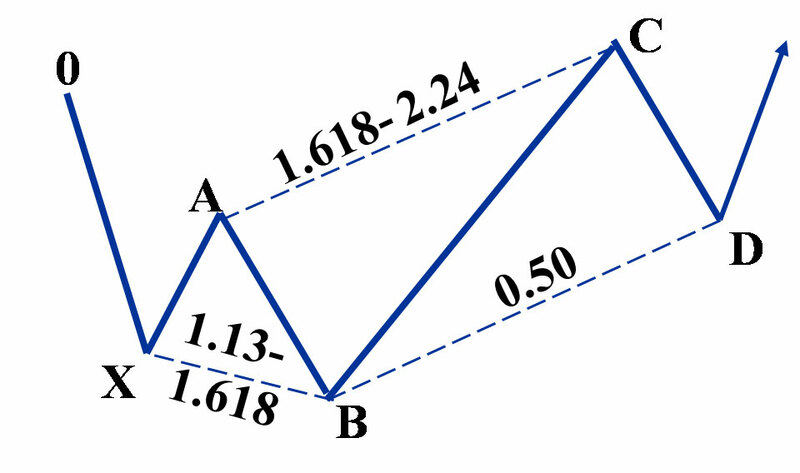 It's most unique retracement pattern that possesses a precise alignment of Fibonacci ratios to validate the structure. The 50% retracement is the most critical number within the Potential Reversal Zone (PRZ). 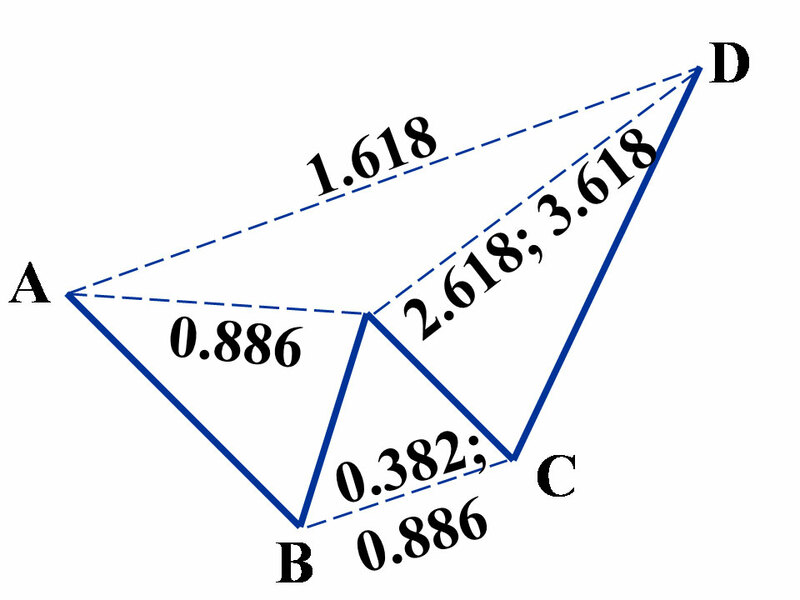 The Formation F requires a reciprocal AB=CD measurement to define the pattern’s completion, also the measurements of the various price legs are slightly different than other XABCD patterns. This pattern identifies distinct reactions following the completion of a contrary trend - the first pullback of a trend reversal. In many instances, the AB leg of the structure is a failed final wave of an extended trend. The formation F is an incredibly precise pattern with two most important characteristics: 50% retracement of the BC leg and the Reciprocal AB=CD. 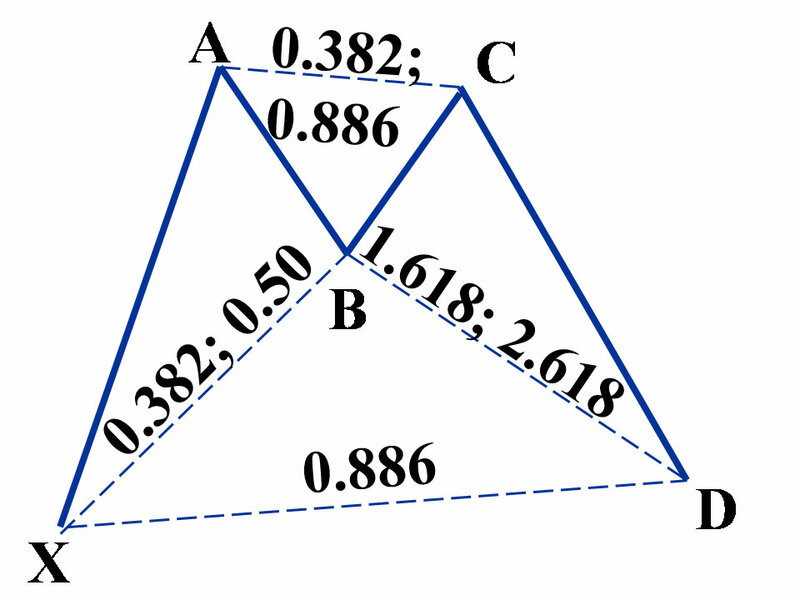 Formation G follows Gartley structure which was discovered and outlined by H.M. Gartley in his book "Profits in the Stock Market" (Lambert-Gann Publishing, 1935) on page 222. 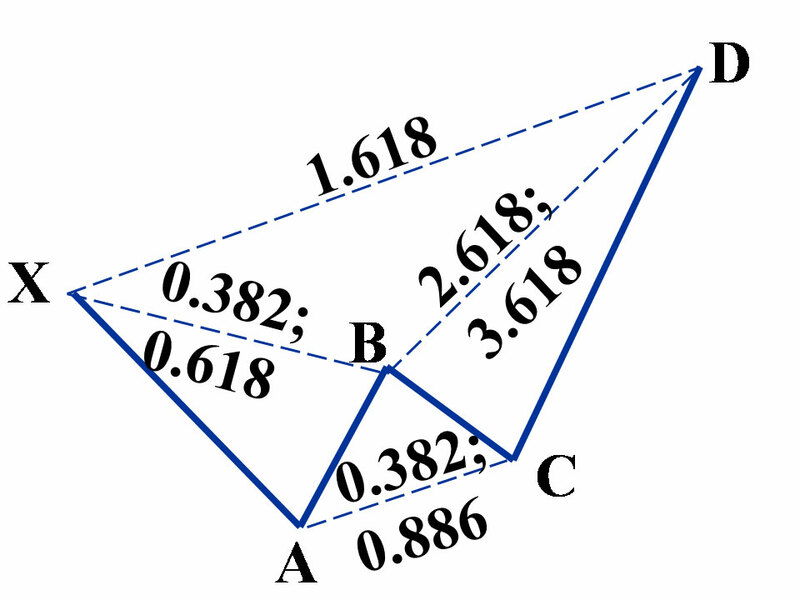 Supposedly Gartley was not responsible for assigning Fibonacci ratios to this price structure, but Scott Carney in his book “The Harmonic Trader” where he specified retracements of the B point at a .618 and the D point at a .786. 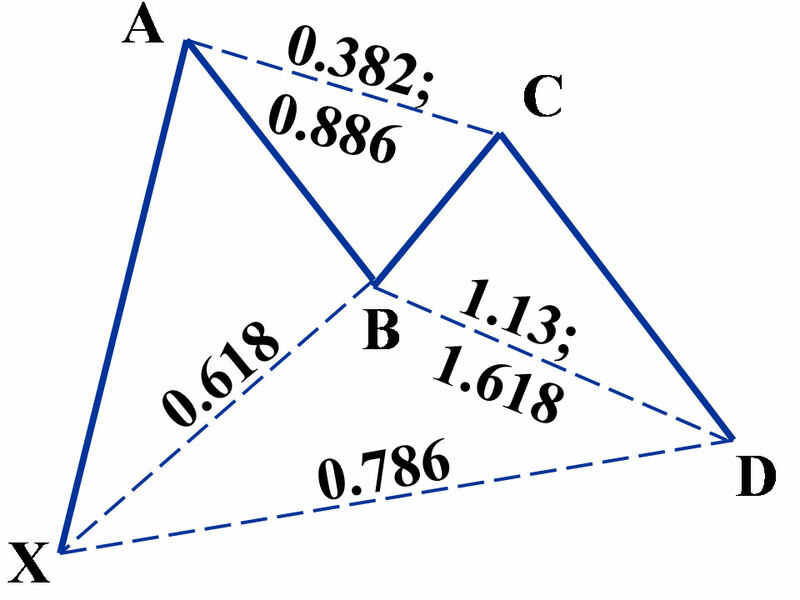 There are others who have assigned Fibonacci retracements to this framework, however, they used a variety of Fibonacci numbers at the B and D points. Formation G yields the most reliable reversals with 61.8% retracement at the B point and the 78.6% or 88.6% at the XAD. Formation S comes as an enhanced "Shark pattern" known from "Harmonic Trading vol.2" by Scott Carney and works extremely well retesting prior support/resistance levels. This is a similar behaviour to Formation AB reacting at 0.886/1.13 ratios. This formation is different from the M-type and W-type alignments as point C is outside of the structure and marks the extreme point of it. Like other fibonacci price patterns also Formation S possesses defined profit targets with 38.2% retracement of CD leg being the preferred one to act on. All the formations listed above require active management. A look at an oscillator, which at the completion of the pattern (point D or Terminal Bar) should be in the extreme zone. Price action should be watched closely in Reversal Zones. Formations should be analysed in conjunction with support and resistance levels from higher time frames. There is no one approach to trade Harmonized Fibonacci Price Patterns. Number of variables need to be considered while trading, including for example money management techniques, which may solely be responsible for yielding different results from trader to trader. If you just starting your trading journey consider these hints: take trades with at least 1:1.5 risk/reward ratio and focus on TP1 (38.2% retracement). Wings Proportions is the maximum ratio of time between XA-BC and AB-CD. In other words it's a measure of how balanced, timewise, the pattern is. Keep in mind that this setting is highly subjective. Hide Premature - when marked, hides the patterns where price did not move beyond point B (or X) yet, during it's way from point C to D.
Patterns don't repaint but they disappear after a while so the chart remains uncluttered. Completed patterns stay for 200 candles while invalid ones are removed after 2 - 100 based on timeframe. The H means the HSI is in the extreme. For Bearish patterns the extreme registers above 88.6, for Bullish below 11.3. We try to limit these indications to conceivably still valid patterns so no 'H' before D, above max SL or after TP2. 2016-11-14 - added notifications on Terminal Bar. Improved site loading speed.